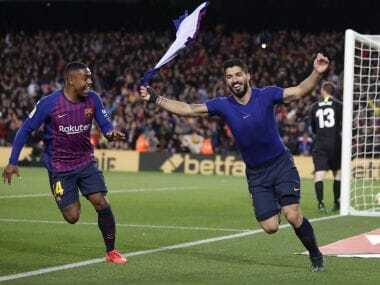 Madrid: Barcelona fans have many more years to enjoy Lionel Messi, assured outgoing coach Luis Enrique after the Argentine handed his boss a successful send-off in a 3-1 Copa del Rey final win over Alaves. 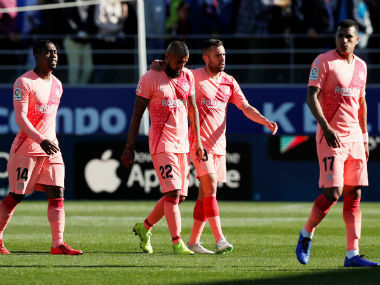 Messi opened the scoring and helped set up goals from Neymar and Paco Alcacer just before half-time as Alaves slumped to defeat in their first Spanish Cup final despite Theo Hernandez's stunning free-kick to level at 1-1. "He is extraordinary, an extraterrestrial," Enrique said of Messi after he lifted his 30th trophy at Barca a month ahead of his 30th birthday. "To be the number one you don't just have to be the chosen one in all the technical aspects of the game, but you have to be very strong physically. "Leo Messi is a very strong player, he takes care of himself as much as he can. "He has a change of pace which he will maintain. 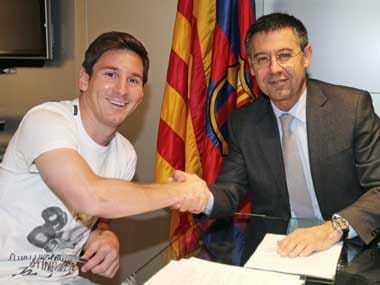 Messi will be around for a while to come." Victory saw Enrique seal a ninth title of a largely successful three-year spell in charge despite missing out on La Liga and the Champions League this season. However, he insisted he had no regrets over his decision to not renew his expiring contract after being worn down by the pressures that come with being Barca boss. "I am the one who decided it was best to stop and it has worked out perfectly. "I think it has for the players too. As I understand this profession it is of the highest demands with a daily grind. 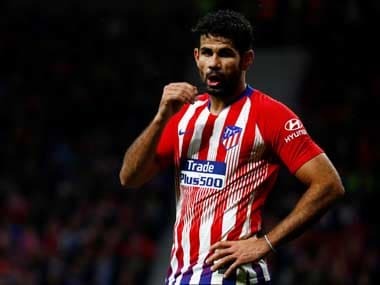 "We would have liked to have won La Liga again and be taking part in the Champions League final, but it wasn't to be and I think the fans are aware of the effort and the sacrifice of the players." And he dedicated his latest success to those he says suffered most through his stress over the past three years -- his family. "I have enjoyed many things and when you have the opportunity to make Barca fans happy and lift a title, it is something that makes you proud," he added. "I dedicate this especially to my wife and daughter because they are the ones that suffer most when Luis Enrique arrives home angry after a defeat." Alaves coach Mauricio Pellegrino hailed his players' efforts after an excellent season in which they also finished ninth in La Liga on their return to the top flight. However, he lamented conceding twice in three minutes on the stroke of half-time that left him with too much of a hill to climb in the second period. "I have a contradictory feeling given the disappointment of the result given the desire we had to do something more, and also the feeling of thanks to the players not only for what they did today but during the whole year," said the Argentine. "For me the key goal was the third one. That created too big a deficit to overcome. "My plan was to get to the end of the game still with a chance and that third goal was the one that changed the result, but not the spirit of the players which is why I feel so proud of them."